What’s more important, love or money? Sometimes the two can be in conflict. Romantic partners don’t always tell each other everything, but when they hide financial accounts, be it a bank account or a private credit card, there can be serious emotional repercussions. When a partner hides a financial account it’s called “financial infidelity,” and it can be as serious as sexual infidelity. A new survey from CreditCards.com shows it’s more common than you think. According to the survey, about 19 percent of people in a relationship are hiding some kind of financial account from their partner. About 20 percent of people in a relationship say a partner hiding a financial account is actually worse than sexual cheating. The results may not be that surprising. After all, when a couple is legally joined both people are responsible for one another’s debts. When you go into a marriage with someone who has a large credit card balance, you understand that you’re taking that on, for better or worse. But if your partner is secretly racking up debt, that’s another story entirely. 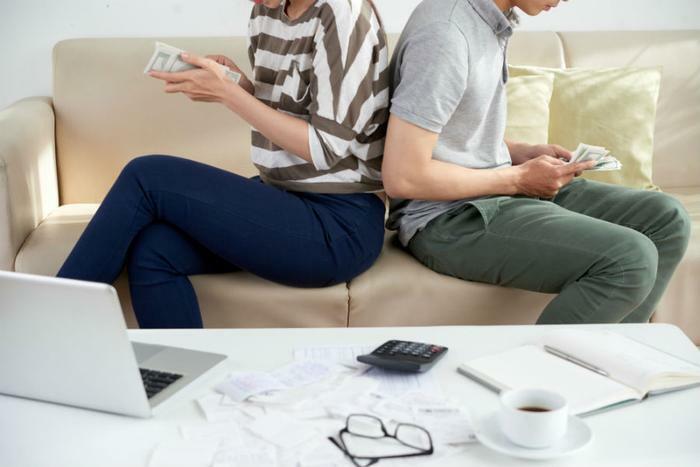 The survey found that millennials tended to be the most active when it comes to hiding a financial account from a spouse or partner. Twenty-eight percent of millennials in live-in relationships admitted to hiding a financial account from a partner. In fact, this generation is twice as likely to cheat as older couples. Regionally, financial cheaters tend to be clustered in the South and West, much more than in the Midwest and Northeast. While no one likes a financial cheater, hiding an account rarely results in a break-up. Just 2 percent of couples in the survey said they would end a relationship with a partner who was hiding a secret $5,000 credit card balance. Eighty-one percent said they would be angry and upset but would not end the relationship. Why do people hide their financial activities? It's complicated. Emily Garbinsky, assistant professor of marketing at Mendoza College of Business at the University of Notre Dame, says a major reason is to avoid conflict. She says people often hide the ways they spend money because they know their partners wouldn’t agree with how they chose to spend it.